At only 21 years old, Matt McMurry already has an impressive racing resume. By the time Matt was 15 he had already traveled all over the world. Perhaps his biggest racing accomplishment to date came in 2014 when Matt became the youngest driver ever to compete and finish in the famous 24 Hours of Le Mans at the age of 16. Matt continued on to compete at the famed French 24 Hours event one more time in 2015. 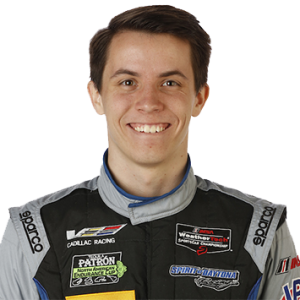 Matt was a part of two pole winning efforts at the Rolex 24 Hours of Daytona with both Michael Shank Racing in a Ligier Prototype as well as with Park Place Motorsports in a Porsche. Most recently, Matt raced in the Asian Le Mans series where he scored two podium finishes with Algarve Pro Racing as well as a WEC start at Silverstone in the LMP2 category. Matt continues to pursue is career in racing all while attending college and studying aerospace engineering. 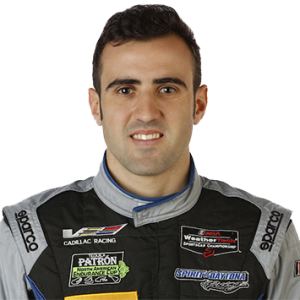 Tristan Vautier seems to exel in every car that he competes in, finding success in both the open wheel and sports car ranks. After competing overseas early in his career, the Frenchman made the move Stateside in 2010 where he entered the Pro Series ranks. Coming out of the gates with authority, Vautier won the season opener at Sebring. The following season, Vautier scored the Pro Mazda championship title, and was awarded with an Indy Lights Scholarship. After clinching the Indy Lights Championship in 2012, Vautier became the first driver to win two rungs of the IndyCar ladder and compete in the IndyCar Series (2013). Aside from his success in open wheel competition, Vautier has thrived behind the wheel of sports cars. Vautier has three 24 Hours of Spa starts, with his most recent entry in 2016 resulting in a second-place finish overall. Vautier has also had a booming career in the Blancpain GT series where he won the series finale event in Barcelona in 2016. Most recently, Vautier was crowed winner of the 10 Hours of Suzuka. After a full season ride in IMSA WeatherTech SportsCar Championship competition last year, Vautier will make the jump from GTD to Prototype with Spirit of Daytona Racing for the 2018 season.